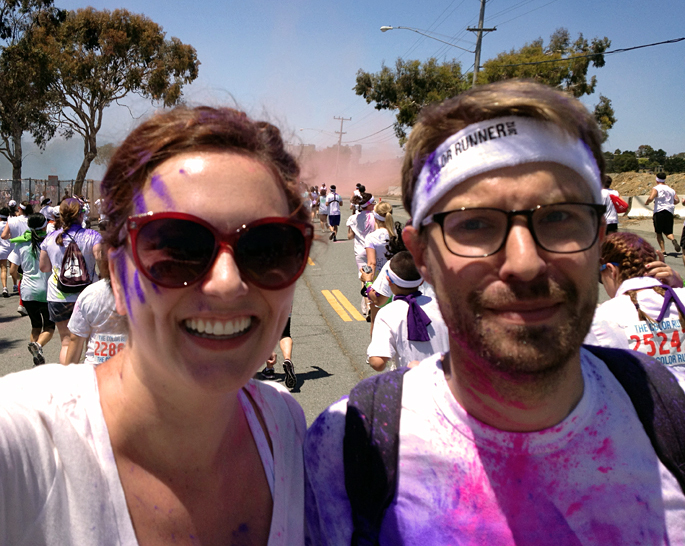 Last weekend, the boyfriend and I joined in on The Color Run, and I have to admit it was probably the most fun I will ever have running a 5K race. 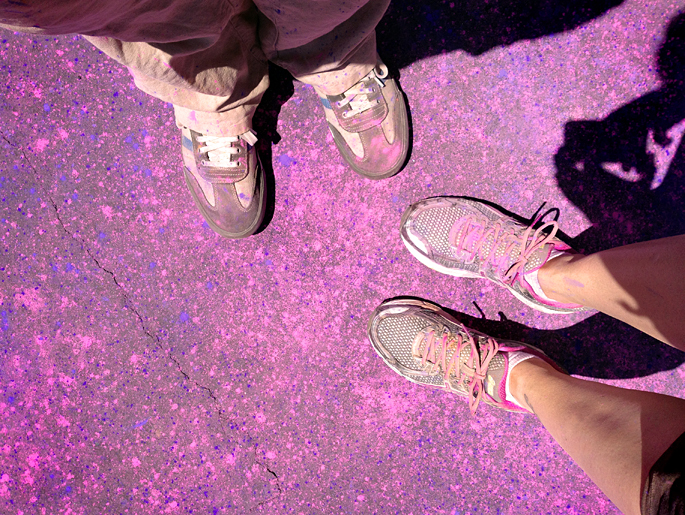 For those of you that have no idea what I am talking about, The Color Run is a touring 5K that is part run, part Holi style party. Trust me, if it comes to your town… you should sign up. 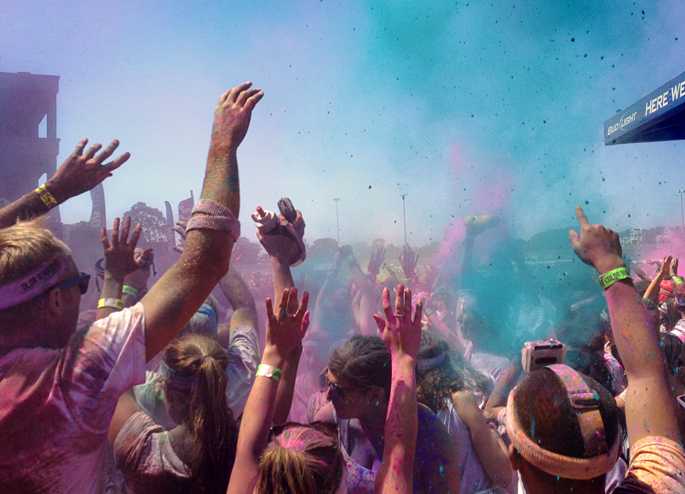 It’s basically an excuse to have fun outside, get a little exercise, and get really dirty with a bunch of happy strangers. That’s what weekends are all about, right? Rebecca! This looks like SO much fun! 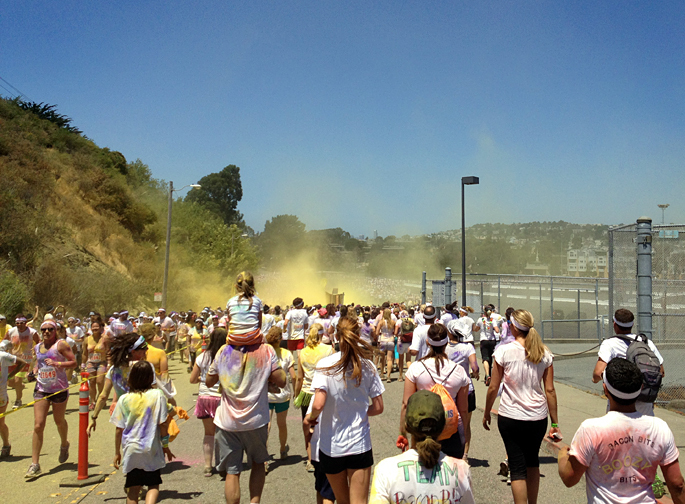 All the people, all the colors & a group workout! Oh my goodness, how fun! I don’t run, but if this does ever come to my town, I’m definitely in! That looks so awesome! I would love to go just for the photo ops – cool shots! I’m so sad I missed out on this! I had a bunch of friends from work do it but I was out of town. Hopefully next year because I look like you had a great time!